Three articles of note today. First, UK chair of climate committee says warming may be natural, second, Met Office admits that warming of last century isn’t statistically significant, and finally, Aussie scientists downgrade alarmist predictions. To the UK first, where Tim Yeo, chairman of the parliamentary Energy and Climate Change Committee, has embraced free-thinking, rational scepticism and has abandoned dogmatic and quasi-religious alarmism, in a shift which will send shock waves through the climate community. Humans may not be responsible for global warming, according to Tim Yeo, the MP who oversees government policy on climate change. The chairman of the Commons Energy and Climate Change committee said he accepts the earth’s temperature is increasing but said “natural phases” may be to blame. Such a suggestion sits at odds with the scientific consensus. One recent survey of 12,000 academic papers on climate change found 97 per cent agree human activities are causing the planet to warm [that’s John Cook’s crock on consensus, by the way. What has consensus got to do with it anyway? If more people think the Sun goes round the Earth, does that somehow make it true? “8 out of 10 cats prefer Whiskas”… – Ed]. Mr Yeo, an environment minister under John Major, is one of the Conservative Party’s strongest advocates of radical action to cut carbon emissions. His comments are significant as he was one of the first senior figures to urge the party to take the issue of environmental change seriously. He insisted such action is “prudent” given the threat climate change poses to living standards worldwide. But, he said, human action is merely a “possible cause”. Asked on Tuesday night whether it was better to take action to mitigate the effects of climate change than to prevent it in the first place, he said: “The first thing to say is it does not represent any threat to the survival of the planet. None at all. The planet has survived much bigger changes than any climate change that is happening now. Plainly, then, the Met Office should now publicly withdraw the claim. That is, the Met Office should admit that the warming shown by the global-temperature record since 1880 (or indeed 1850) might be reasonably attributed to natural random variation…. Scientists from the University of Melbourne and Victoria University have generated what they say are more reliable projections of global warming estimates at 2100. This was achieved through a new method combining observations of carbon dioxide and global temperature variations with simple climate model simulations to project future global warming. Focusing on the wiggles and ignoring the bigger picture of unabated warming is foolhardy, but an approach promoted by climate change deniers. Global sea level keeps marching up at a rate of more than 30cm per century since 1992 (when global measurements via altimetry on satellites were made possible), and that is perhaps a better indicator that global warming continues unabated. Sea level rise comes from both the melting of land ice, thus adding more water to the ocean, plus the warming and thus expanding ocean itself. Global warming is manifested in a number of ways, and there is a continuing radiative imbalance at the top of atmosphere. The current hiatus in surface warming is temporary, and global warming has not gone away. 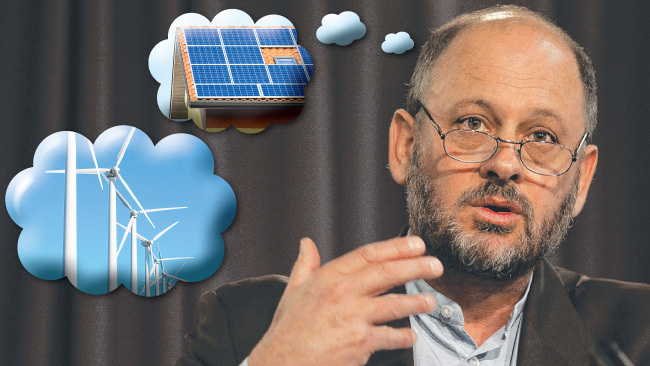 CLIMATE Commissioner Tim Flannery’s work has been labelled “alarmist” by a world renowned climate scientist who says his own dire predictions were “wrong”. Just six years after predicting climate change would kill billions by the end of this century, British scientist James Lovelock said warming was not happening at forecast rates. “There’s nothing much really happening yet. We were supposed to be halfway toward a frying world now,” Mr Lovelock, who still believes in climate change, told MSNBC. In the interview from his home in Britain, the 92-year-old said Professor Flannery’s book The Weather Makers and Al Gore’s An Inconvenient Truthwere “alarmist”. Professor Flannery has praised Mr Lovelock in the past, particularly his Gaia theory that the earth is a single and self regulating organism. “Within this century the concept of a strong Gaia will actually become physically manifest,” he told the ABC last year. In a review in The Monthlyof Mr Lovelock’s last book The Vanishing Face of Gaia: A Final Warning, Professor Flannery said his scientific credentials were “impeccable”. The book, Professor Flannery said, had an “important message” that “in a few years, or a few decades at most, abrupt changes in Earth’s climate will begin, which will end up killing almost all of us”. A Climate Commission spokeswoman defended Professor Flannery’s work. “The Weather Makers is an accurate and balanced work. It’s a critically acclaimed piece of work that inspires motivation to act, not fear,” she said. Greens Leader Christine Milne said the climate was still warming. “Every single year from 2001 on has been one of the 13 hottest years on record and the clear scientific evidence is that it is human activities driving temperatures ever higher … we can’t get complacent about what needs to be done,” she said. 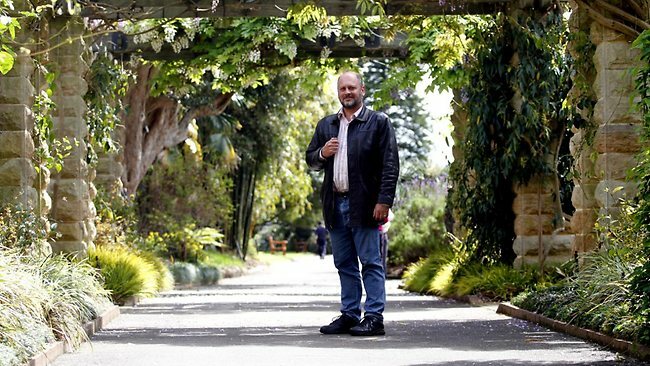 Special Mention here for Australia’s part-time Climate Commissioner Tim Flannery. Employed by the Labor/Greens coalitions “Climate Commission” department. Their role to scare witless and alarm the voters of Australia about immediate dangers of Climate Change in order to defend & promote the absurd Carbon Tax, implemented in a deal between the Greens and Labor PM Julia Gillard, in order to secure her minority government after 2010 hung parliament. 80% of Australian’s detest the tax, not only because it’s a bad tax, but becasue Julia Gillard campaigned in the 2010 election with her now infamous slogan “There will be no Carbon Tax under the Government I lead”, backed up by her deputy Wayne Swan “No it’s not possible that we’re bringing in the carbon tax, that is a hysterically inaccurate claim being made by the Coalition.” Weeks after securing power under alliance with the Greens, Gillard announced implementation of the Carbon Tax. Her personal polling plummeted to a record low of 28% and currently hovers around that. Flannery predicted endless drought and in 2007 publicly announced, “Even the rain that falls won’t fill our dams” Australia’s East Coast reservoirs are now 80%+ full thanks to the return of solid rain 2008-2013. But no thanks to Flannery’s wild Alarmism the four eastern board states SA, VIC, NSW, QLD in 2007 began constructions of $12 BILLION dollars worth of desal plants, for each state, which are ALL currently mothballed. Built by socialist Labor ALP Governments pandering to the Greens vote & panicking about the threat of Climate Change and drought from information provided by the likes of Climate Commissar, eco-activist & mammalogist Tim Flannery. Like Australia has never had drought before? Blatant abuse of taxpayer resources in another green scheme gone horribly wrong! ~ The power of environmental Alarmism! THE FACTS: The 1997 Kyoto Protocol, which the Clinton administration signed but never won ratification for, called on the U.S. to cut its greenhouse gas emissions 6 percent from 1990 levels. Although a natural gas surge and economic woes have helped the U.S. lower emissions, they were still up some 9.5 percent from 1990 to 2011, the last year for which full data is available. 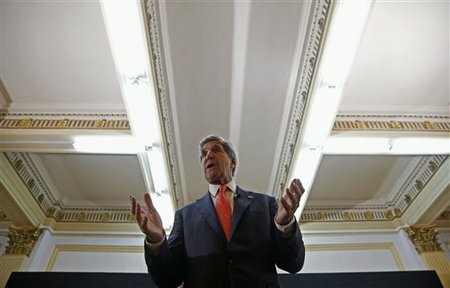 Kerry also said the country met a target to cut emissions by 17 percent from 2005 levels by 2020. 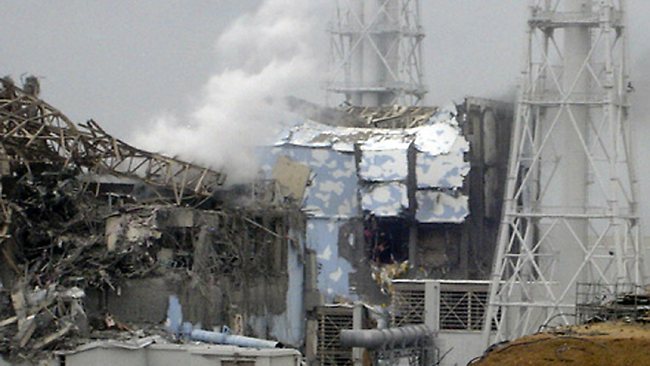 Government data shows about a 7 percent reduction from 2005 to 2011.